At his DIY institution in Colombia, Javier Fernando Rua Restrepo watches the stars. Ask around for Javier Fernando Rua Restrepo in his home pueblo of Villavieja in Colombia, and locals will nod knowingly and point you in the direction of his modest apartment. Most people around here are familiar with Restrepo: After all, he is the astronomer who built his own observatory in the nearby Tatacoa Desert. 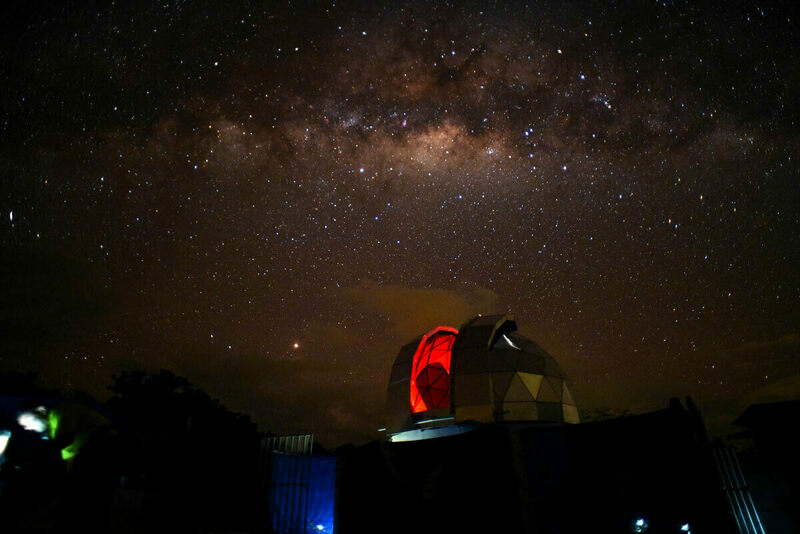 Restrepo’s is not the only observatory in Tatacoa, a region known internationally for its constellation viewing. Nor is it the biggest or most modern; those claims go to the government’s official Observatorio Astronómico de la Tatacoa. But Tatacoa Astronomia offers something different. Restrepo likes to point out that thanks to the generosity of scientists around the world, it is better stocked with top-range telescopes than the government’s observatory. It is only open on starry nights, and only when Restrepo is able to tend to it himself, as he is the sole employee. From the outside it looks like a makeshift camp, but step inside and Restrepo’s enthusiasm, eagerness, and love for the stars make it something special. 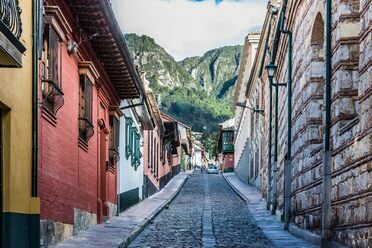 A rarity for the inhabitants of Villavieja, Restrepo was not born in the pueblo. He grew up in Cali, a gruelling 230 miles away. As he grew older, Restrepo finally started to understand the books in his house. “I started to get to know like-minded people in Cali, and I found out about an astronomy association in the city, and so I signed up,” he says. One day following a small conference at Cali’s Universidad del Valle, a member of his club suggested watching the imminent Comet Hale–Bopp—dubbed by NASA as the “great comet of 1997”—“somewhere very dark.” The group decided to head to the Tatacoa Desert. The trip would be Restrepo’s first visit to a place that would eventually become central to his life. Although Tatacoa is known as a desert, it is technically a dry tropical forest. Thanks to its remote position, nearly 30 miles and more than an hour’s drive away from the nearest town of Neiva, Tatacoa has no light pollution to muddy its view of the stars. Up to 88 constellations—that is, all of the official ones—are visible over the course of a clear night. “Because we’re so close to the equator, from this part of the world you can see the whole of the sky of the north and the whole of the sky of the south,” Restrepo explains. Tatacoa’s warm, dry climate also helps with stargazing. When a star’s light rises and falls rapidly, a phenomenon known as twinkling or scintillation, it can be hard to spot the star in the night sky. A stable atmosphere, which happens in either dry spots or in places at a high altitude above sea level, decreases scintillation and increases the quality of stargazing. Between its location and its dry atmosphere, Tatacoa’s view of the sky is extraordinary. Restrepo, who never attended university and describes himself as a “self-taught astronomer,” camped for nearly two years in Tatacoa, as he couldn’t afford proper accommodation. The government opened its observatory in 1994, and Restrepo started working there in 1999, after “pestering them to employ me.” He worked there for 15 years until he was laid off in response to budget cuts. Restrepo had managed to save enough money while working for the government to buy a small plot of land, just a few square meters large, in Tatacoa, and build the structure of his own observatory. He fenced off the small building with tarpaulin, to give a sense of excitement and intimacy inside. However, it was another matter stocking the observatory with the right equipment. In 2015, Restrepo opened his observatory’s doors with just one telescope: his own. Initially few people came. But as Colombia’s reputation as a country for backpackers grew, the DIY observatory attracted more and more visitors. Word quickly spread, and Restrepo says he started receiving calls from astronomers in Russia, the U.S., and Europe wanting to find out more and asking how they could help. Although the scientists didn’t donate financially, Restrepo says he has constant moral support whenever he is in need, and a few even donated their own telescopes. Restrepo’s observatory now boasts seven telescopes, and a pair of giant Orion astronomy binoculars. Stargazers from as far flung as China, Iceland, and Australia come to Tatacoa Astronomia to view the stars, while Restrepo’s “star party,” which he holds once a year in July, has become popular among tourists and locals alike. Not to be confused with Fiesta de Tatacoa, a thumping electronic festival held by the superclub Baum, the Fiesta de Estrellas is a quieter affair, with participants camping in the grounds surrounding the observatory, and watching the stars to the sounds of traditional Colombian music. It’s an occasion to gather with other astronomy aficionados, participate in workshops, and have the chance to go for a midnight hike. Guests also receive an attendance certificate. Representatives from almost all of the country’s major universities have taken part in the star party. Benjamín Calvo-Mozo, a respected physicist from the Universidad Sergio Arboleda, has been “especially supportive,” as has Colombia’s National Astronomy Network, says Restrepo. In his study, which doubles as his daughter’s bedroom, Restrepo keeps a huge collection of physics and astronomy books. He also has numerous framed pictures of accolades: awards, pictures with astronauts, letters from NASA. He’s become a well-known name in the astronomy world, but fame and fortune don’t register in his orbit. Seeing it for yourself will take some planning and effort. Apep has the right conditions for the biggest known explosion in the universe.